The Victoria Tunnel which runs under Newcastle upon Tyne from the Town Moor to the River Tyne has had two lives; as a waggonway to transport coal in the 1800s and as an air raid shelter during World War II. Restored, and opened in 2009 as a visitor attraction, it is one of Newcastle’s gems and a pleasure for the ICAEW Tyne and Wear Society to have arranged a tour on 9 July 2015. The initial purpose of the Victoria Tunnel was to transport coal from the Spital Tongues Colliery, near the Town Moor, to the River Tyne, replacing the original expensive and slow carriage of the coal through the Newcastle streets. The hero of the two and a half mile tunnel construction was local engineer William E. Gilhespie who calculated the precise gradient of the tunnel to the Tyne allowing coal wagons to roll down without the need for human input throughout their journey. Taking two and a half years and finished in 1842, the tunnel workers celebrated in the Bigg Market; as we can see, the party continues to this day! The tunnel was a great success but was in use for less than 20 years as demand for the type of coal produced at Spital Tongues declined. Preparing for war, in 1939, after having been boarded up and disused, the tunnel underwent a renaissance and was converted for use as an air raid shelter for 8,000 Tyneside people. true innovation in the North East… contribution to the Northern Powerhouse! We were able to see evidence of this on the tour with the addition of blast walls to reduce the impact of any bombing; electric lighting; wooden bunk beds; and benches. If the tunnel lighting was affected during a raid, only then would people have understood the definition of pitch black and whilst the tunnel was damp, a visiting inspector reported “better damp than dead”. In 2008 the Victoria Tunnel was carefully repaired and opened for guided tours with funding from the Heritage Lottery Fund and TyneWear Partnership. 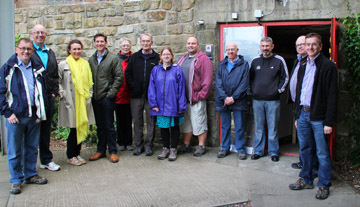 Since 2010 the Ouseburn Trust has operated guided tours with fully trained volunteer guides. • promoting and preserving its rich heritage. The Tyne and Wear Society of Chartered Accountants is a branch of the Northern Society of Chartered Accountants (NorSCA) which represents 4,000 ICAEW Chartered Accountants and ACA students working in business and the finance profession across the North East of England, Teesside, Northern Yorkshire and Cumbria. We have been assisting businesses in the north of England and producing chartered accountants for over 130 years. 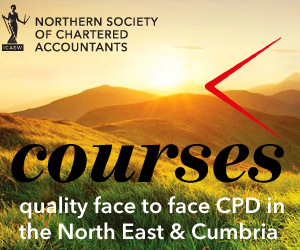 Our members are part of a worldwide network of 144,000 ICAEW Chartered Accountants who help people do business with confidence.